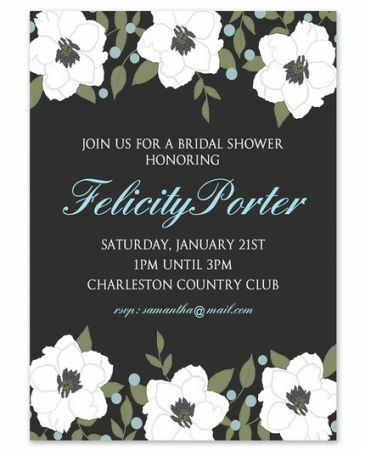 Invite guests to shower the bride with this bold, black invitation. 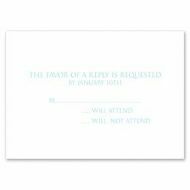 White flowers line the top and the bottom of this flat card. Your event details are printed in the middle for a customized look.